LiquidVPN has been in the game for some time. The founders are network engineers who also have experience in optimizing server infrastructures for their web hosting company. But will their experience in web hosting translate well in to a good VPN provider? LiquidVPN has been around since 2013, and it boasts of its status as a serious innovator—unlike competitors. Liquid has received quite a bit of praise for its speed and encryption, so let’s put their service to the test. Most VPNs allocate a few servers for P2P and Torrent downloads. Lucky for those who love downloading content, LiquidVPN allows unlimited torrenting with all of their servers. The company even pulled out of countries that didn’t agree with their torrent policy. Now that’s dedication – and we love it. However, when it comes to a smooth torrenting experience, support isn’t everything. Speeds are also vital. On that front, we suggest these top torrent-friendly VPNs that won’t throttle your download or upload speeds. 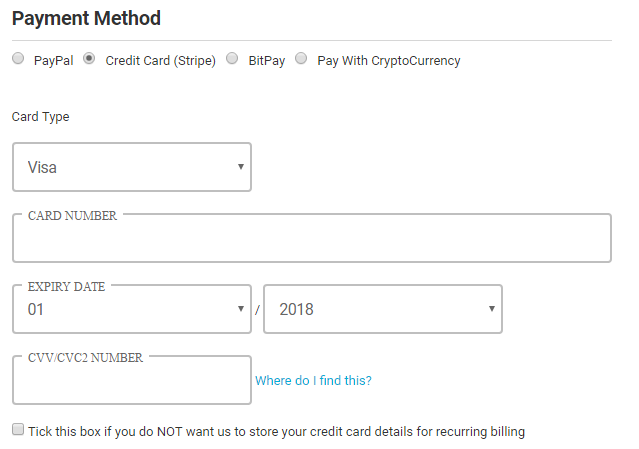 Payment Methods: Yes to Bitcoin! If you’ve decided to charge ahead with LiquidVPN, payment is easy. They offer numerous methods of payment including Paypal, credit cards, and Bitcoin. 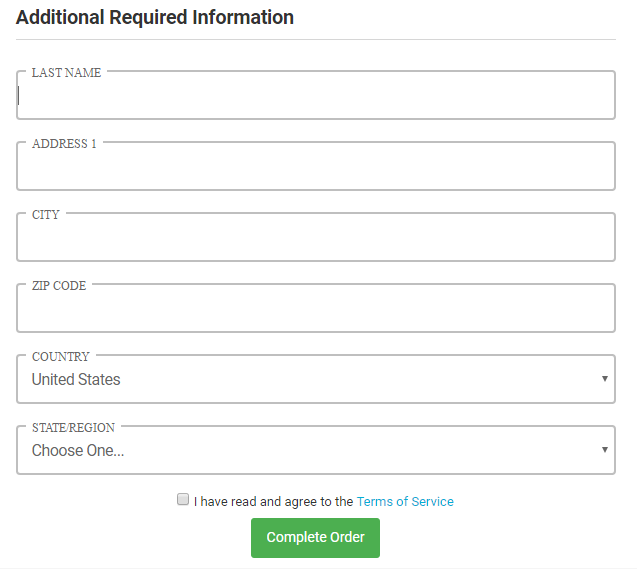 Signing up for LiquidVPN is quick and easy thanks to their website’s simple interface. Once you’re on the site you’ll immediately see the “Get LiquidVPN” orange tab in the middle of your screen. Just click on that and it will lead you to the plans they offer. Afterward, you’ll be directed to a page that shows your order summary. It’ll also ask for your information like your name and email address: basic information for signing up, so nothing to worry about. You can certainly fake this information if you wish to remain anonymous. The last part of the sign-up process is your payment method. It’ll ask for different information depending on the payment method you choose. 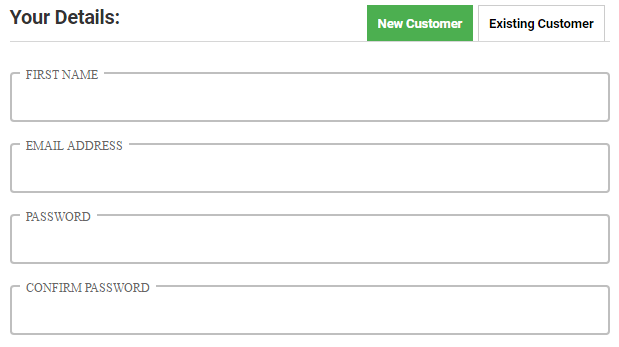 For example, choosing PayPal will result in LiquidVPN asking you to input your last name. If you use a credit card, you’ll be asked for additional information so your card can be verified. There is a box you can tick if you don’t want LiquidVPN to store your information for the next billing cycle. After successfully paying, you should receive an email regarding your purchase. Then you’re all set! After successfully signing up you’ll be directed to your dashboard. On the left side of the screen, you’ll see the download LiquidVPN tab. It’s a drop-down tab. You’ll be asked for your username and password. Don’t get confused by entering your email and the password you’ve created; LiquidVPN provides you with a custom username and password. Use that information to sign in to the app. You can find your username and password on your dashboard at my.liquidvpn.com. LiquidVPN’s logging policy states they don’t track any of the websites you visit, nor the type of data you’re sending and receiving. However, they do log your bandwidth usage during the first seven days. They do so to keep track of whether or not your account is eligible for a refund. Additionally, they also log other information like the total of active users per account, whether or not your account is logged, and failed logged in tries. They also store transactional information like order number, first name, email, and the IP address used to place the order. None of this concerns us greatly. IP and DNS Leak Test: Nothing to report! Ensuring that the VPN you’re using isn’t leaking any of your IP and DNS information is a must. We put this VPN to the test to see if it’s really securing our IP and DNS address and ultimately, our identities. We’re glad to report that the claims are true and we found no DNS or IP leaks! LiquidVPN offers different protocols, namely OpenVPN, L2TP with Internet Protocol Security (IPSec), SSTP, and PPTP. They have a strong AES-256 and AES-128 encryption for all of their protocols. You can switch between them anytime you want. 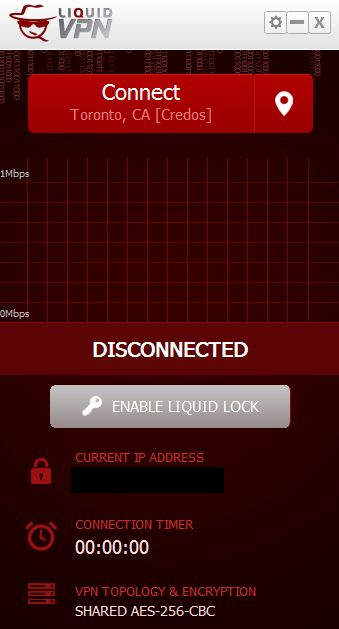 Speaking of strong security, LiquidVPN also has a built-in kill switch combined with a firewall called “Liquid Lock”. Something to take note of when it comes Liquid Lock though, is that if it’s enabled but you’re not using your VPN it might block your internet connection, and you’ll find yourself unable to connect to the internet. If this happens and you want to use the internet without your VPN all you have to do is disable the Liquid Lock. You shouldn’t need to contact the support team unless your issue is abnormally complex, due to the comprehensiveness of the guides above. Still, that’s no excuse for a lack of response from customer support. Although LiquidVPN claims to have strategically placed their servers in locations that will give users the best connectivity and privacy, the service has servers in only 11 countries – that’s pretty basic. Their shared IP addresses, however, are constantly changed. This ensures that users will enjoy plenty of anonymity. The feature is called “Modulating IP connection.” Sounds cool, and its ability to keep users safe is appreciated. This isn’t a win for LiquidVPN, but it’s not a loss either. LiquidVPN supports Netflix on all of their USA servers. Users who want to access Netflix content only available in the States will be happy with LiquidVPN, so long as their connection is strong enough to stream. However, if you want to stream Netflix based in other countries, look elsewhere. LiquidVPN doesn’t support any other country for Netflix streaming. It’s why it didn’t make our list of the best VPNs for Netflix. Price is a deciding factor when choosing a VPN, especially for those on a budget. Choosing LiquidVPN is not exactly a budget-friendly deal. The cheapest plan is the Sidekick Plan for $7 a month. You can connect up to two devices with access to 564 shared IPs. Their second plan, and their hottest offer, is the Road Warrior. It clocks in at $10 a month. With the Road Warrior plan you can connect four devices simultaneously and get access to 2168 shared IPs across 11 countries. And if you want to connect up to eight devices you’ll have to pick the Ultimate Plan. 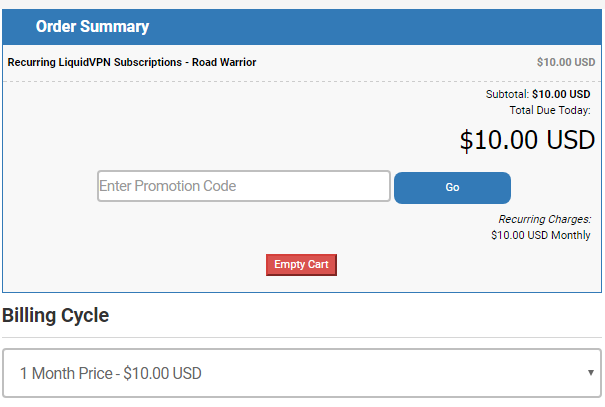 It costs a whopping $18 per month and lets you connect to 2168 shared IPs—just like the Road Warrior. LiquidVPN isn’t cheap, you can see that much. It’s difficult to find any VPNs pricing any package at $18 per month! They do offer discounts for annual packages if you’re set on LiquidVPN. Doing so brings the $18.00 plan as low as $8.83 per month – not too shabby, but still, that’s more than double the price of one of the best VPNs – NordVPN. LiquidVPN offers a seven-day money back guarantee – pretty standard fare. You can get a complete refund if you cancel your subscription within seven days of purchase and activation, so long as you haven’t used more than 5 GB of data. To request a refund, you have to cancel your account and open a billing ticket requesting a refund. Refund eligibility is determined on a case by case basis, and LiquidVPN only gives refunds to those who have canceled their service and specifically asked for a refund within the allotted time frame. Going through the hoops may deter some customers, but at least there is a refund system in place. Obtaining fast and reliable performance is a defining factor when choosing a VPN service, which is why most VPNs brag about their high-speed connections. When it comes to LiquidVPN it’s a mixed bag; some reviewers have claimed okay speeds. Others find their speeds are too slow. So we tried it out for ourselves to see which side we fall on. 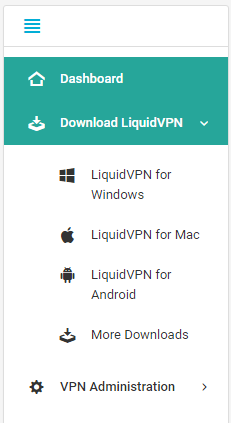 LiquidVPN is available on devices using Windows OS, Mac OS, and Android. Unfortunately, the VPN is not available on iOS (despite what it says in the photo). Sorry iPhone users. Honestly, this downgrades LiquidVPN a fair amount – we’ve reviewed VPNs that support iOS, not to mention network routers, smart TVs and more. Customer Support: Hello, is anybody there? LiquidVPN’s support team offers a ticket system you can find on their website. All you have to do is choose which department your concern is related to. If you’re not already logged in you’ll be asked for your name and email address. If you are logged in your username and password should be automatically filled. Opening a ticket is as easy as sending a regular email. It has also the same components: subject, message, and even the option to attach files. You can also choose to change the department and priority of your concern, between high, medium, and low. If your inquiry is basic and answered in the FAQ you’ll see a “knowledge base suggestion” at the bottom of the screen. It’s pretty convenient to not have to wait for a response. The problem is that when we tried submitting a ticket it didn’t send any email confirmation to our account. We didn’t get a response either! A glitch or super terrible customer service? We’d also have preferred to see a live support service; ticket systems to us show a lack of interest in actively supporting customers, so it’s certainly an improvement LiquidVPN could make if they want to improve in this area. LiquidVPN is a service started by Engineer Dave Cox who still owns and runs the company. It operates under S.M.R. Hosting LLC, which also specializes in web hosting. Being a networking engineer gave him the technical knowledge needed for the company to thrive. In 2013, Dave purchased the first servers that eventually helped expand LiquidVPN’s entire network. Estimates show that LiquidVPN has an estimated total revenue of $6.2M, and 89 employees. This private company is located in Westland, Michigan US, which puts them under the five eyes jurisdiction, a shame. This doesn’t necessarily mean your privacy is at risk, but it’s all dependent on LiquidVPN ensuring they don’t track or keep any data to hand over to government agencies. So, how to sum up LiquidVPN? Their knowledge base content is amazing compared to other VPNs – there’s plenty of help to be had there. The strong encryption along with their Liquid Lock innovation is also something to root for as it ensures you’re secured if something ever goes wrong with your connection. The unlimited torrenting and access to Netflix is enough to make our ears perk up. However, the price is certainly a deal breaker if you’re choosing a monthly payment plan. This can be neutralized if you opt for the annual payment, as it’ll cheapen the services by a considerable amount. The terrible customer service we’ve experienced is also a big drawback to LiquidVPN’s service. All in all, we think their service is okay – it’s nothing spectacular. With some work on their speeds and customer service, they could be a strong choice. Until then, there are better, cheaper alternatives. Find some of them in our best VPNs reviews list!